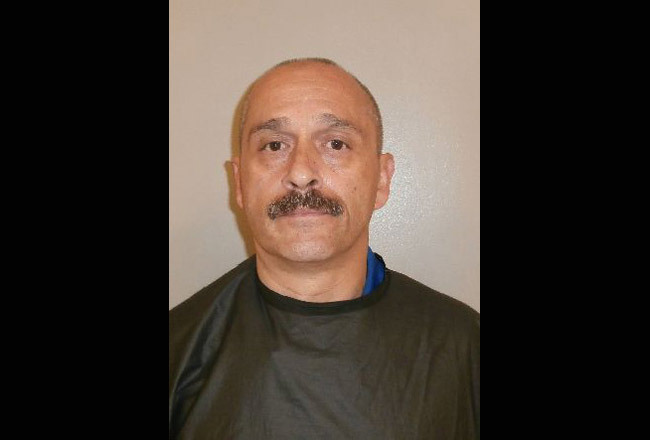 Other than being charged with writing a couple of worthless checks–charges that were dropped five weeks ago–John Mancuso has never had anything close to a criminal issue in Flagler County. His only dealings with the court system until Wednesday was a divorce two years ago and a foreclosure earlier this year, but in that regard he is more of a typical than an unusual representative of Flagler County demographics. It was just after 8 p.m. A witness saw Mancuso, a 50-year-old resident of Wagner Place in Palm Coast, climb over the rear fence of Cline Construction’s operation at 18 Utility Drive in Palm Coast, according to a police report, and gather up gas cans. That’s where Cline maintains a fuel depot. The witness confronted Mancuso, according to the report. Mancuso fled. The witness called 911 and described the fleeing man. A Flagler County Sheriff’s deputy in the area soon arrived and saw a Chevy Trailblazer driven by a man matching the description provided dispatchers. The Chevy was making a turn from Utility Drive onto Old Kings Road. It was followed by a Cline Construction vehicle. The cop had been driving in the opposite direction. The cop immediately turned around, which led Mancuso allegedly to take off speeding, and to do so against oncoming traffic to get around other drivers, the police report notes. Mancuso then pulled into the Woodhaven apartment complex a short distance from Utility Drive, parked, and fled on foot. He was soon captured, emerging from the woods along Old Kings Road, placed under arrest and charged with burglary and a felony count of fleeing and eluding. On Utility Drive, authorities recovered a 30-gallon plastic drum that contained about three gallons of gas. The drum, the police report notes, is not approved by the Department of Transportation to transport fuel of any type on public roads. Mancuso Thursday remained at the Flagler County jail on $3,000 bond. Deer poaching on Matanzas Golf Course, stealing gas cans, realtors robbing banks…too many unemployed desperate people in the area. Bad economic times create extreme behavior. Oh Jeez, just for 3 gallons of gas! Will cost us a fortune in jail. Not his first trip to that site. He got 3 gallons, this time, before he was confronted. There is no mention of all the gas that was spilled on Utility Drive as he fled from the scene. Desperate people do stupid things when they feel alone and worthless. Being well off or even having just enough monetary funds to pay your bills keeps most people out of trouble. Given the clean record of this man it makes one think how many others there are just like him. As a society of civil obedience obeying the law is essential. However justice is a fine balance. It is in the community’s best interests in situations like this to take a chance and provide help to people like this that were created when the bottom dropped out in 2008. Adjudication for stealing 3 gallons of gas and fleeing capture should not continue to bury this “New criminal” out of sight of all of us opinionated law abiding people. No one can be sure if this will be them in a few short weeks when we may find ourselves in the same situation. The religious will go to church and celebrate their salvation. These are the same people who could serve on a jury to find this recently newly made criminal to prison or the Jail. Certainly we are better that, IMO. I would venture that it might be a good idea in such a case as this that our new Judge Melissa Stens might be asked if she might have a few good ideas how to do this. People are not trash. Perhaps we can recycle this man? I like how you think Mr. Butler. I feel bad for this man. This was a former homeowner. Again, I must remind everyone: ONLY BANKS CAN STEAL LEGALLY. The rest of us get fingerprinted and become a part of the Prison–industrial complex. I can’t look at you wrong because there but for the grace of God, go I. “ONLY BANKS CAN STEAL LEGALLY.” Good point, but you forgot the government! Yes it was three gallons before he was confronted and forced to stop but he also had 6 five gallon cans and a 55 gal drum in the back of his truck. He had also been seen by neighboring businesses there jumping the fence almost every night that week and also less frequently for the month before. The 3 gal reported is probably actually 400-500 gal. He just finally got caught. He had a job as he still had on his uniform and name badge from where he worked. We all fall on bad times but it is no excuse for stealing and taking food out of the mouths of businesses that support honest hard working citizens. So we just allow anyone with a NEED to do whatever they feel like doing? I don’t buy that for a second! There are agencies all over the place offering help to those who really need help! One does not have to STEAL to survive! And to make a point of it only being (3 gallons) of gas, as if that makes it less offensive for what this thief has done, what was his original intent/target? Enough with the excusers crying! If the law says one cannot steal ANYTHING, then 3 or 3000 has no bearing in this instance. How about naming some of the agencies that “are all over the place” so that any unfortunate and desperate Floridians can seek help there before they resort to lives of crime. THAT would be helpful. Why sympathy or excuses for that crap. He created his own problems. I’ll pay for the gas if they let him out. Hard times are just a “pay check” away for all of us. 3,000 dollar bond for boosting a fuel tank, that is a bit extreme. If you beat your wife your bond is set at 500 dollars, which one sounds more criminal to you? I truly feel for this guy cause when you are at rock bottom you will do anything for a drink, and then the police and Flagler Live will make you out to be a menace to our society. He was arrested because he stole. What about the bad checks he wrote to people? This may be the first time he got caught, but is it the first time he stole? There are a lot of people in this country who have fell on hard times in recent years. Most of which have not resorted to becoming a thief. This article has reported that he was arrested for stealing 3 gallons of gas. Really he finally got caught for something that has been going on for months and months. His actions cost a company a lot of money, not to mention that companies hard working employees a lot of grief. So before you all go feeling sorry for this low life, maybe you should feel sorry for the company he stole from and the individual lives that his actions have affected. I hope the courts do punish him to the full extent of the law. I am so tired of everyone coming up with excuses for scum. Missing fuel has been an ongoing problem for Cline Construction. He had a 30 gallon drum in his truck to steal fuel continually. He could only carry a few gallons at a time – especially climbing over a fence. This was not the first time this man suddenly did this, especially with the drum in the back of his truck. When he was caught he didn’t quietly pull over, he ran & endangered the lives of other drivers. The Judge needs to be understanding but this also needs to teach him a lesson so that he does not do it again. I agree, he has a job since was still wearing his work shirt and you do not carry around that amount of gas cans around for a one time haul. I have no sympathy for some one like this no matter how bad times are. A thief is a thief, period. According to witnesses this has been going on for some time. This is just the first time that he got caught. It amazes me how no one is responsible for their actions any more. Unfortunately, many people in this country have gone through forclosures and divorces. Last I checked, most have not turned to stealing from others. I happen to work at Cline and work with a good group of folks. We work hard for our money and not always in the most favorable conditions. We have families,homes,bills, and responsibilities like most others. This person in question was stealing from everyone that works at Cline. I don’t believe anyone held a gun to his head,made him climb over the 6ft fence, take fuel that did not belong to him,run from the police, endanger other people on the road , and then again try to evade the police again on foot. Yes,sounds like a real upstanding citizen to me. I know, maybe if some of you people who think he has nothing so wrong had opened up your purse strings and homes to him sooner, he wouldn’t be in this situation now.